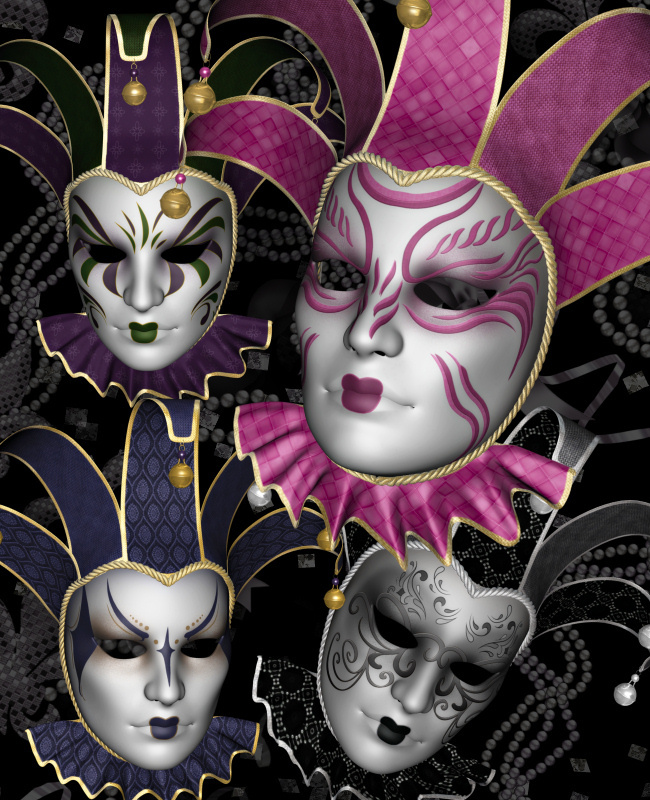 Classy and mysterious masks for your Mardi Gras designs. Mardi Gras graphics are among my favorites. I love the aura of zany mystique that the celebration holds. 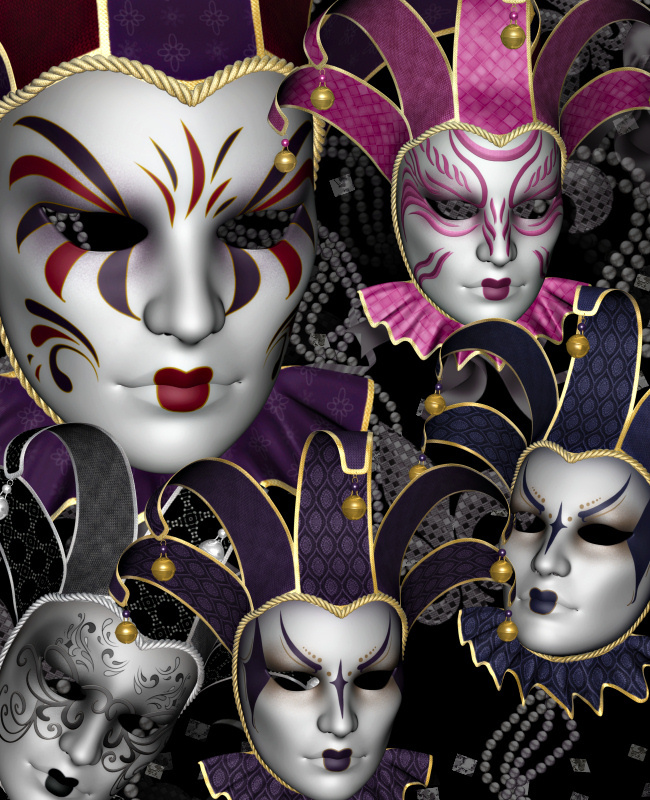 This package of Venetian Mardi Gras Mask Graphics is no exception–they hold that air of intriguing secrecy and mystery. They take me to another place and inspire me. I hope they move and inspire you too. They are certainly eye-catchers and will give your designs a festive touch just in time for Mardi Gras. are in four delectable poses. 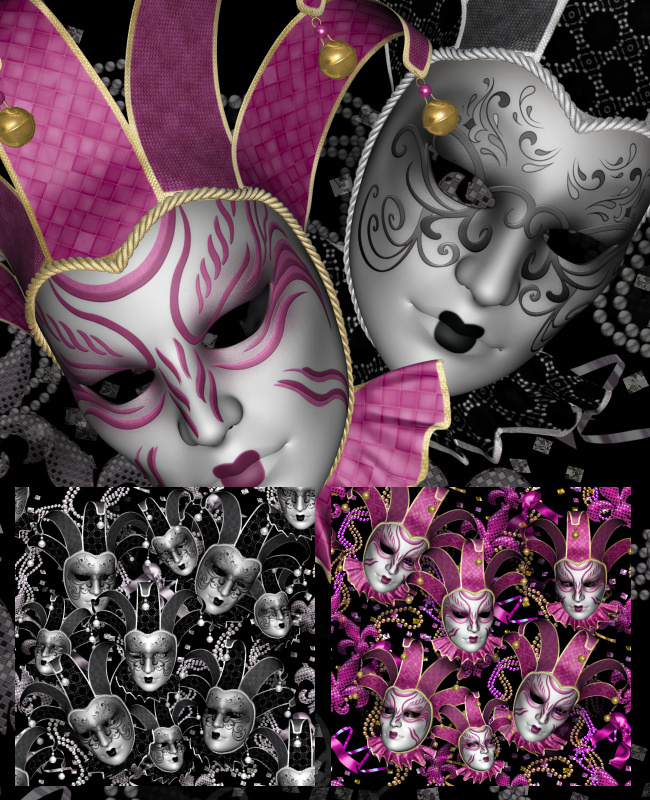 I’ve included two seamless tiles featuring the black and the pink masks, beads, and fleur de lis. Use these tiles as textures, for flood fills, to create papers, or whatever your heart dreams up. 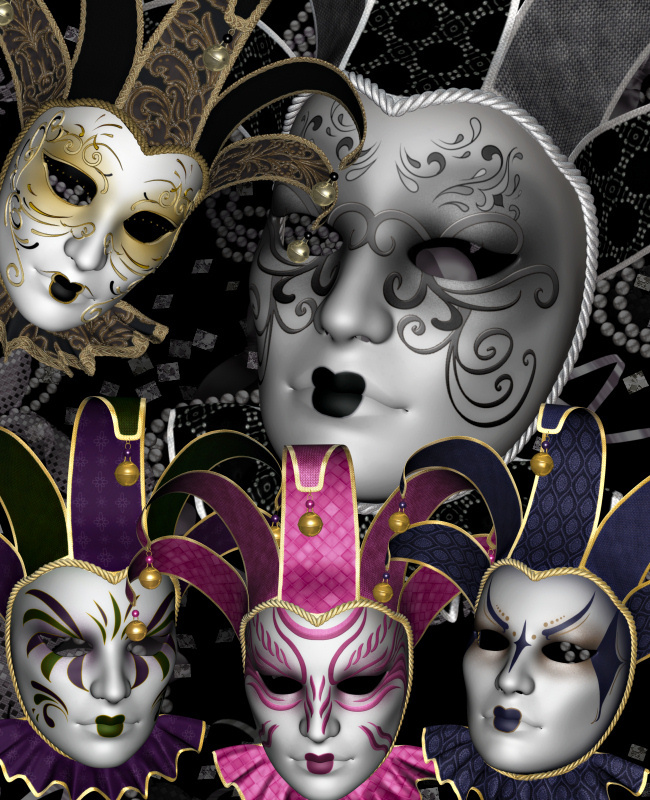 For more Mardi Gras graphics, don’t forget to check out my Mardi Gras collection. The size of these masks are about 2000 X 2000, but the size of the other graphics in this package varies. All are 300 DPI, making them great for print projects. This package is two zip files, which are about 53-61 MB each.